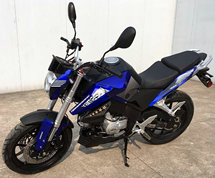 95% Assembled ROKETA 150cc Street Sport Bike Fully Automatic CVT, Dual Disc Brake, Air Shock Absorber, 13" Tires MC-06-150, free shipping to your door, free helmet, 1 year bumper to bumper warranty. Big and bright dual headlights, 13" Big Tires, Easy Assembly (30 min plus tune-up). 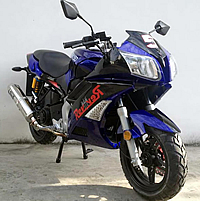 NEW ARRIVAL ~ROKETA 150cc sport bike MC-06-150 has the race car decals; Fully Automatic CVT (continuously variable transmission), Dual Disc Brake, Dual Air Shock Absorber, LED Light, 13" big tires, Big and unique dual headlights, Customize large exhaust pipe, Top speed 50 mph! BRAND NEW MODEL, by ROKETA. $99.00 a year; $150.00 for 2 years; $199.00 for 3 years (Best Deal). The manufacturer's warranty starts the day when your bike is delivered. The extended warranty effective as soon as the manufacturer's warranty expires. If you were to add a 3 year extended warranty at only $199, your bike's motor and other warranty parts will be covered for a total of 4 years. A 150cc motor costs $650 plus shipping, if anything happens during the first 4 years, we will ship you brand new motors free of charge, same way with other warranty parts. 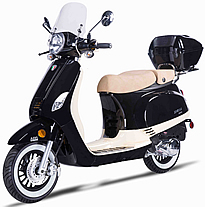 Mirrors, footpegs, battery set up and minor adjustments are required, assembly time is about 30 minutes plus tune-up. Be sure to tighten all screws, check for appropriate levels of engine fluid and fully charge battery prior to operation. Warranty is valid straight from the box. 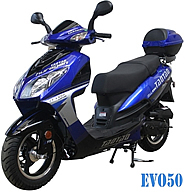 High quality Front ABS Disc Brake and Large Rear Disc Brake provide the best possible stopping power for any bike. This bike comes with shut off switch in case of any emergency. With one press of the button it automatically cuts the engine so you can stop easily. The cooling system on this model is designed to an incredibly high standard. 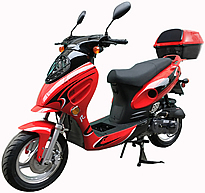 It keeps the engine temperatures level while offering the perfect amount of power for a more reliable engine and quality bike. 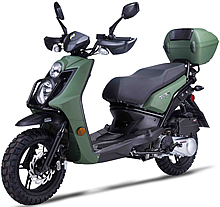 Assembly: This Item comes 95% assembled (mirrors, footpegs, battery set up and minor adjustments are required). Be sure to tighten all screws and check for appropriate levels of engine fluid prior to operation.